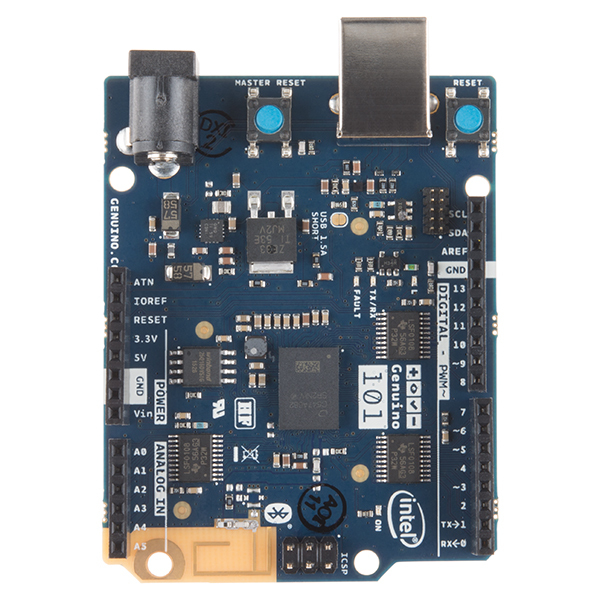 The SparkFun Inventor's Kit for the Genuino 101® board is a great way to get started with programming and hardware interaction with embedded electronics using the Intel® Curie-based Genuino 101 board. 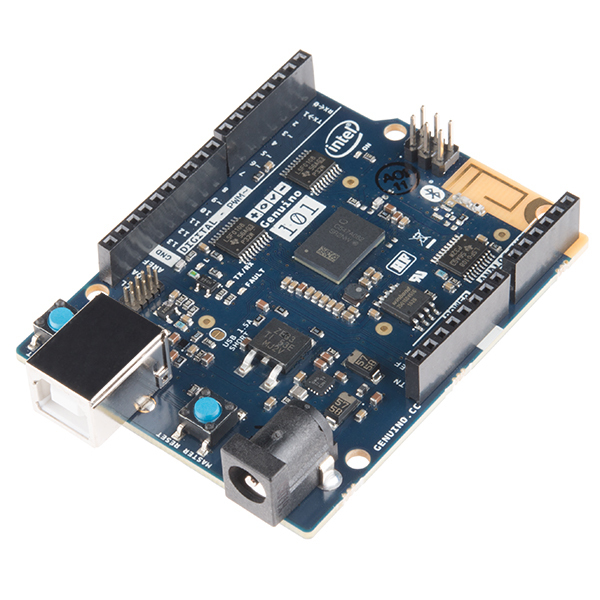 This SIK includes everything you need to complete 21 circuits that will teach you how to control and read the on-board and external sensors, control the Genuino 101 board through your phone, detect and analyze different sounds, and much more. 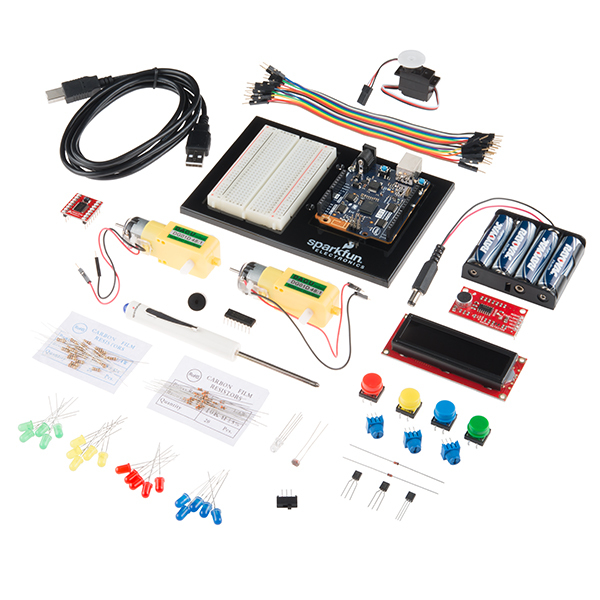 Don't worry; you won't need any previous programming or electronics experience to use this kit. The philosophy behind this kit is that anyone can (and should) play around with cutting-edge electronics. After using this 101 SIK, you’ll have the know-how to start creating your own projects and experiments. From building robots and game controllers to IoT and data logging, the world will be your oyster. 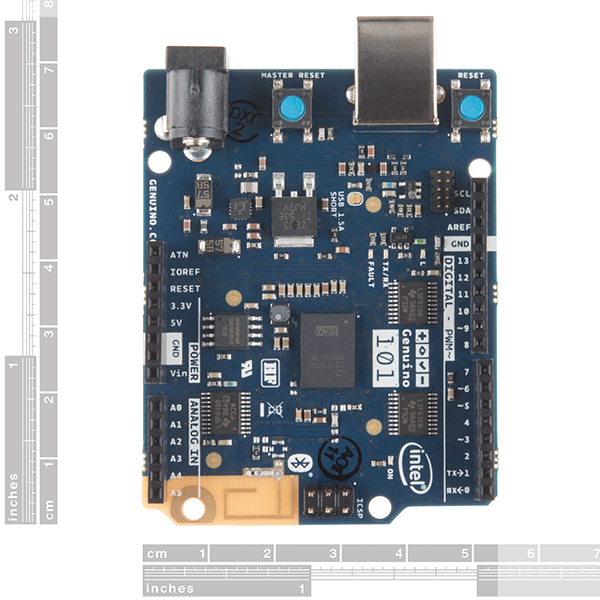 The online Experiment Guide for the Genuino 101 board contains step-by-step instructions for how to connect each circuit with the included parts. Full example code is provided and explained, and even includes troubleshooting tips if something goes wrong. 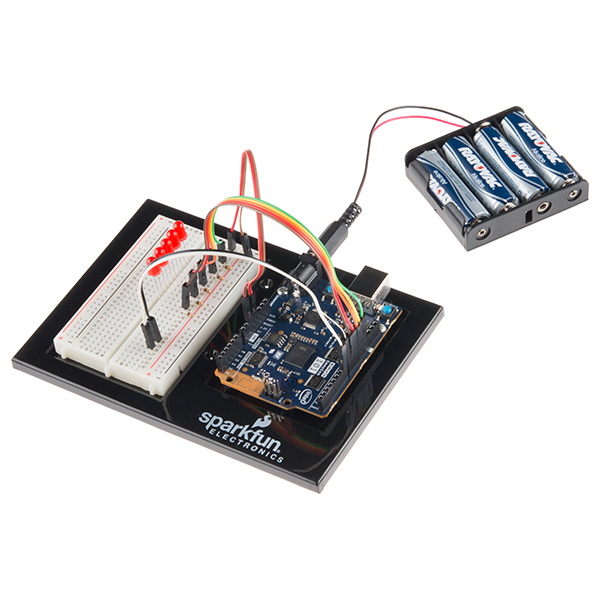 The kit does not require any soldering and is recommended for anyone comfortable reading code libraries and those looking for an alternative to the original SparkFun Inventor’s Kit. 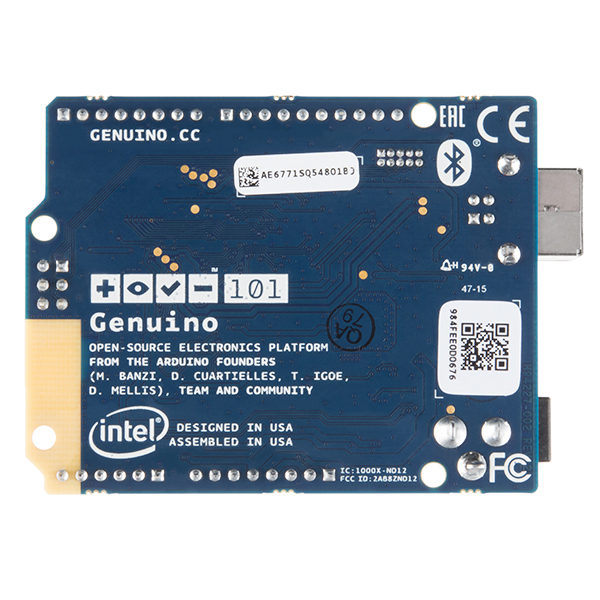 Note: The Genuino 101 Inventor's Kit is only available for customers in the countries detailed on [this list](https://cdn.sparkfun.com/datasheets/Dev/Arduino/Boards/Genuino101-ATLASEDGE3 countries.pdf). If you are located in the United States, be sure to check out the Arduino 101 or its SIK instead. Sorry, world! Note: The Real-Time Operating System (RTOS) and framework developed by Intel was scheduled to be open sourced in March 2016. It's not possible to interface with it directly; only the Genuino core can do it via static mailboxes.